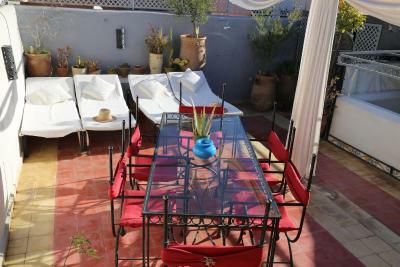 Lock in a great price for Riad Villa El Arsa – rated 9.2 by recent guests! 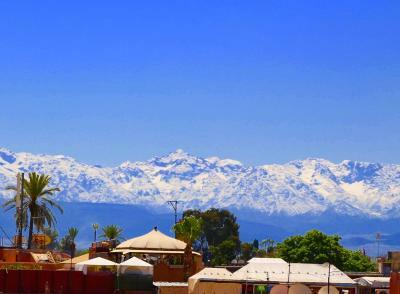 The most amazing experience in Morroco, staff was so nice that we felt like visiting our friends, place is nice and clean. 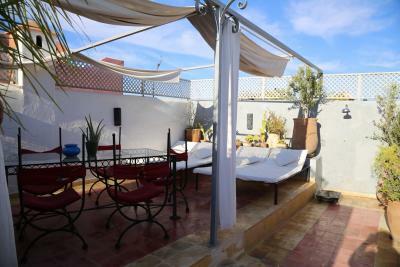 Roof top terrace was nice for breakfast, short afternoon nap in the sun and mint tea in the evening watching the sunsets. 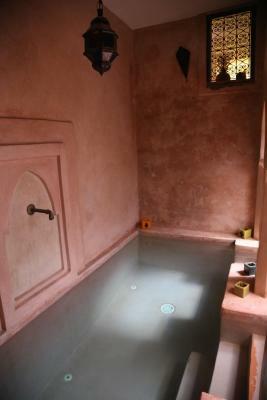 Oriental pool was the best way to refresh yourself after spending couple of hours wandering in hot Medina streets. 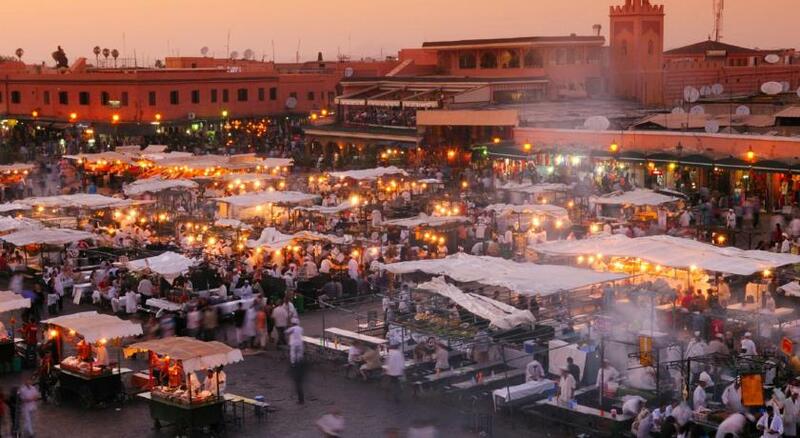 Riad is really near the main square but it is hard to find the way at first time so I would really recommend asking for transfer from airport or bus station. This was by far my the most enjoyable accommodation and it would be basically the only place I would like to return in Morocco. I spent a night in the Sahara and then returned to this hotel. It was amazing. Best $90 I have spent in a long time. The service was great and the room was awesome. 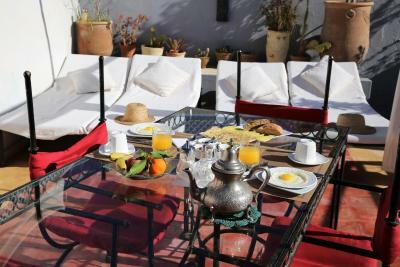 Beautiful riad- comfortable, cozy, gorgeously decorated, phenomenal view from the rooftop and excellent breakfast! It was a lovely experience. Great, affordable place. 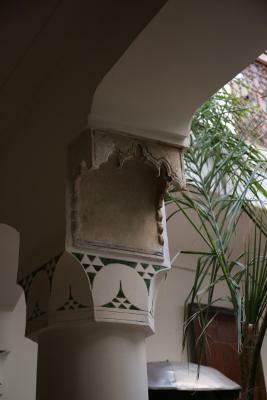 Not as lavish as some of the other riads but the price was very fair, breakfast was delicious and staff were wonderful. We have just enjoyed a fab couple of days in Villa El Arsa. 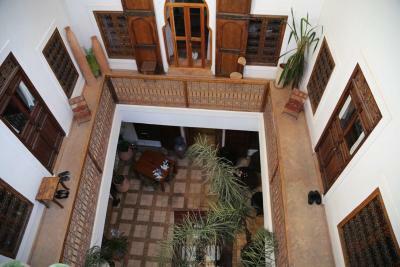 The Riad itself is great, however, Simo our host made our stay and was an absolute legend. On arrival he gave us the lowdown on places to visit, restaurants to eat in and throughout our stay he couldn’t have been more obliging. He even arranged at last minute to get our bus tickets to Essaouira otherwise we would have been stranded in Marrakech. 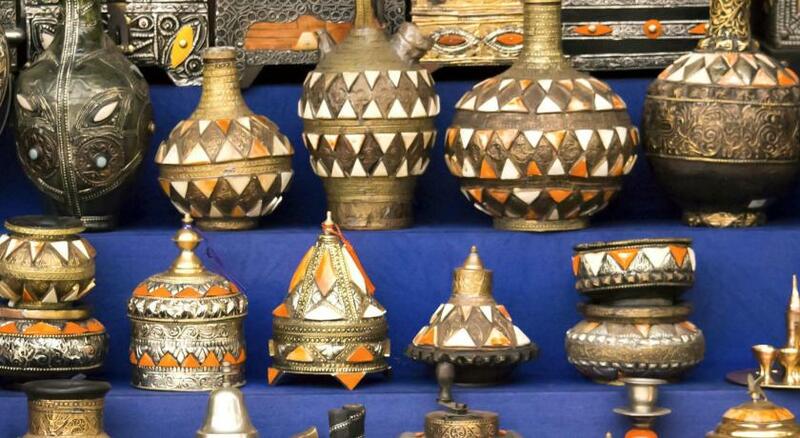 It really was a great start to our Moroccan adventure. Thank you Simo for being such a gent!! The location was perfect, and it was well appointed for the price. 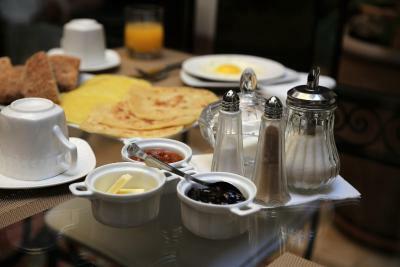 Staff is top notch and the breakfast was a good mix of Moroccan and western staples, so you get the best of both worlds. The airport transfer was fine and the staff was very welcoming. 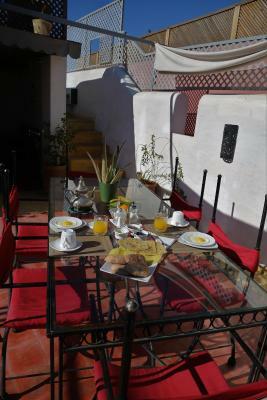 Breakfast was served on the rooftop and varied from day to day. They even make their own jam :) The location was perfect. Also, you could leave your room key at the riad so you don't have to worry about losing it. 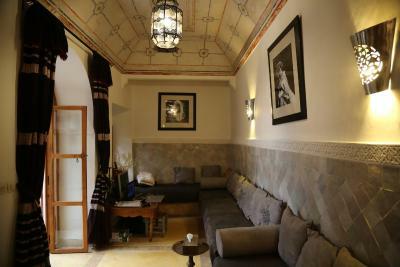 Very quiet Riad which is a blessing when you need a break from the hustle and bustle in the Medina. The roof top is great to take a nap or get a tan. 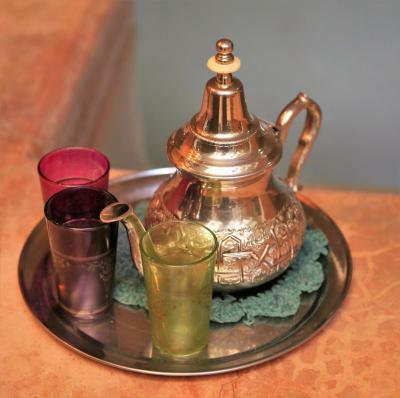 Breakfast was typical maroccan and very good, also we got tea every day which made us feel very welcome. The airport pick up was organized perfectly and we can only recommend to book this to spare the taxi trouble at the airport. Very good wifi. This place is really fantastic! All the staff were really helpful and friendly and the place was always exceptionally clean. Highly recommended. 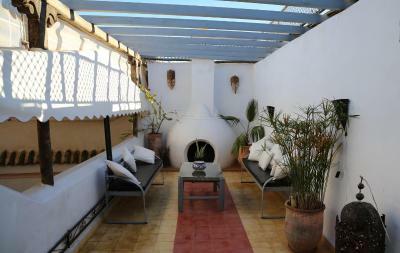 This riad is in the medina and is a 5-minute walk from traditional markets in Jamaâ el Fna square. 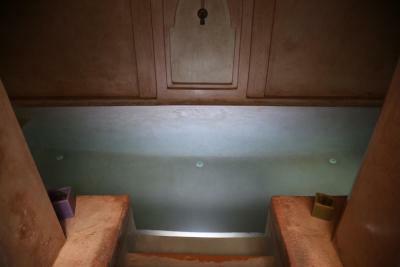 It features a Moroccan design with a range of seating areas, a plunge pool and a rooftop sun terrace with views of Marrakech. 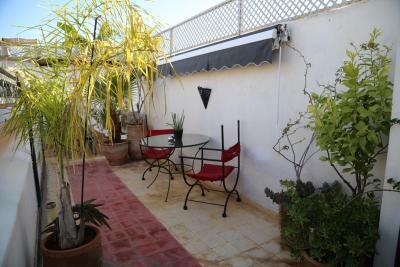 The spacious guest rooms open on to a central courtyard and have free Wi-Fi. 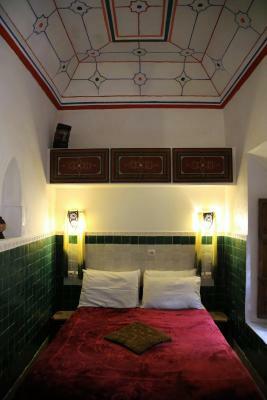 All rooms have a bathroom with traditional tadelakt walls. 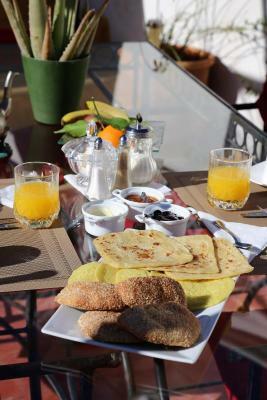 A continental breakfast is available every morning at Riad Villa El Arsa. 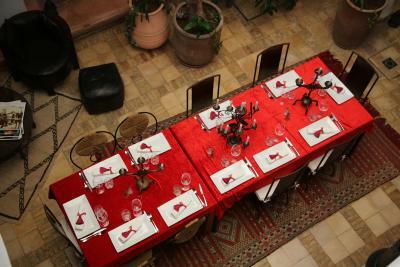 Moroccan and French cuisine is served in the dining room. 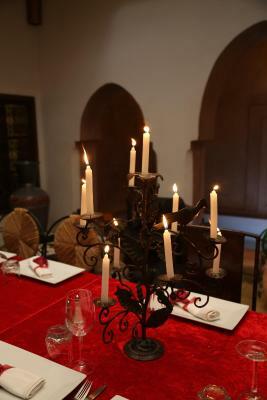 The guest house has a tour desk to arrange local excursions, airport transfers and entertainments. 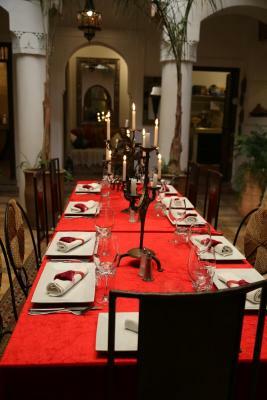 Guests can also join cooking classes hosted at Riad Villa El Arsa. 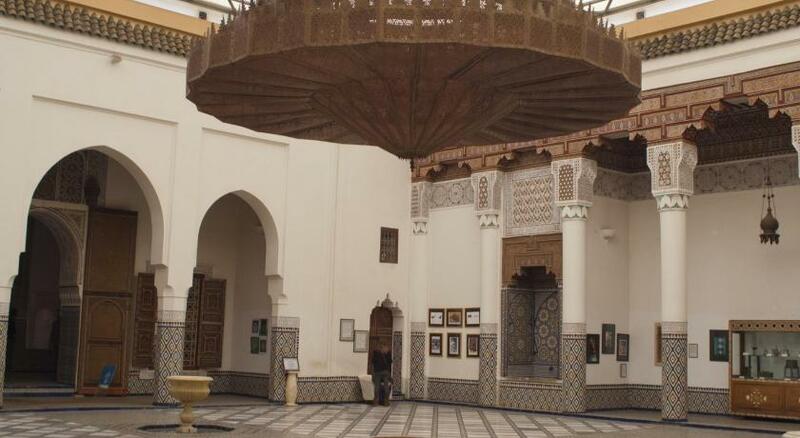 The 19-th century Bahia Palace is a 5-minute walk from the riad. Marrakech Train Station is 3.1 mi away and Marrakech-Menara Airport is 5 mi away. 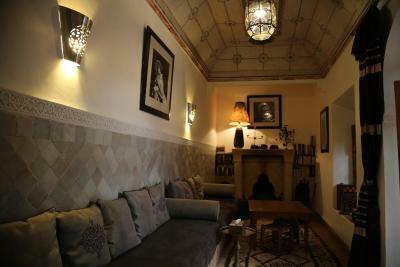 When would you like to stay at Riad Villa El Arsa? 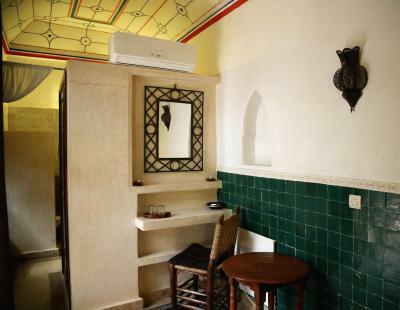 Free Wi-Fi and a private bathroom are provided in this Moroccan-style room. 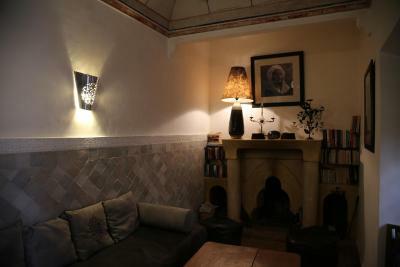 This spacious room features a fireplace and a seating area and it can be arranged for 2 or 3 people. This room can be arranged for 2 or 3 people. 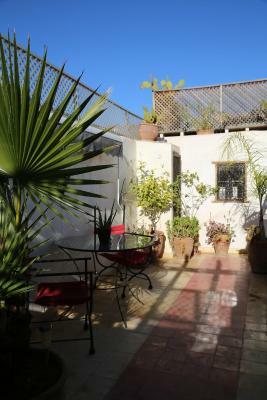 Set on the ground floor, this room open onto the patio. 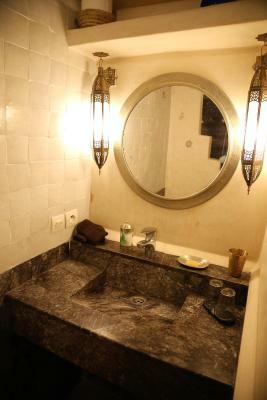 It features free Wi-Fi internet access and a private bathroom with shower, decorated with Tadelakt and marble. 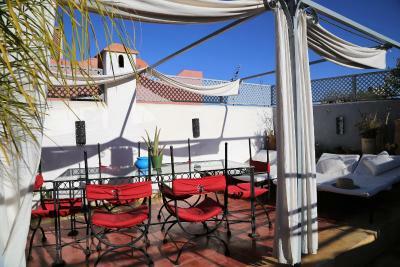 Riad Villa El Arsa is a traditionnel house for a rich family. 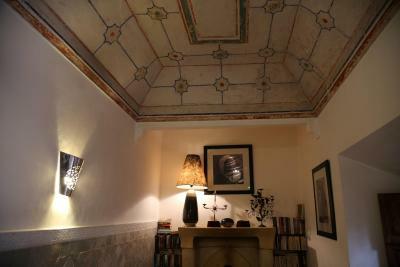 The Riad is totaly renovated. 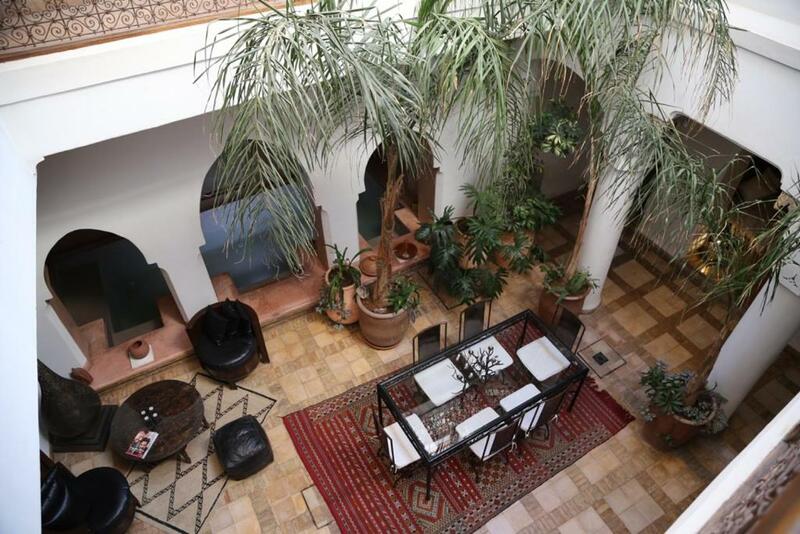 The architecture arabic and spanich is totaly preserved, but offer comfort and modernity. 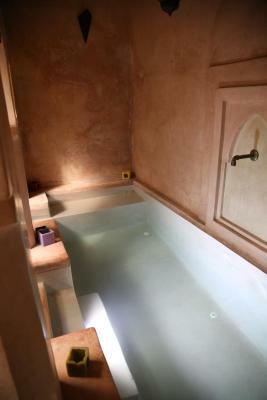 The oriental bath of cold water you will bear the great heat. In seconds, you cool off completely and will go back, again, for a new exploration. 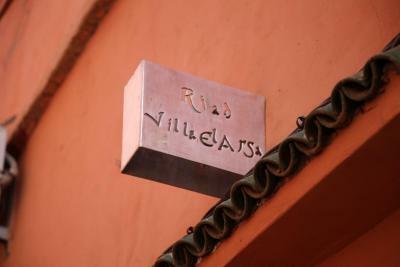 House Rules Riad Villa El Arsa takes special requests – add in the next step! 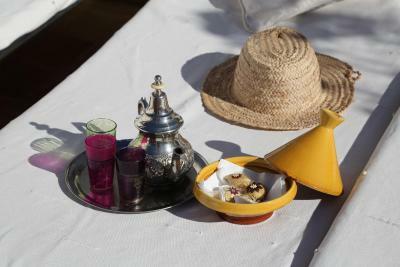 Riad Villa El Arsa accepts these cards and reserves the right to temporarily hold an amount prior to arrival. 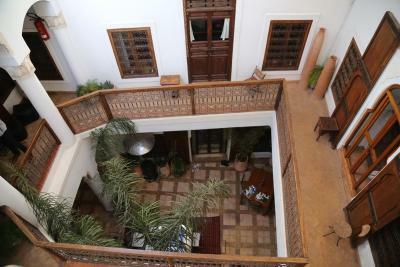 Please inform Riad Villa El Arsa of your expected arrival time in advance. You can use the Special Requests box when booking, or contact the property directly using the contact details in your confirmation. Not the riad’s fault but to get to it late at night there was a sketchy corner that you had to pass to get back to the hotel. One night we were harassed somewhat while on our way back. 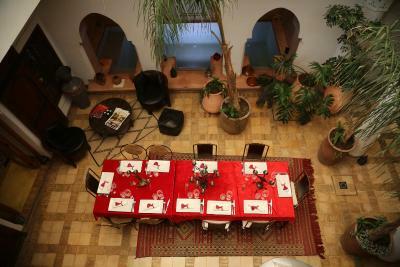 Riad was difficult to find, because the streets around the location on Google maps does not correspond with the real situation. The staff is really friendly. 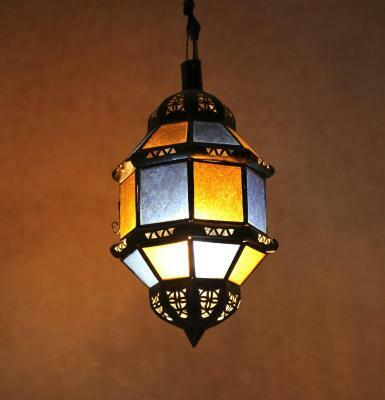 Especially Ayoub went out of his way to provide great service to us and speaks great English. it was very difficult to find. 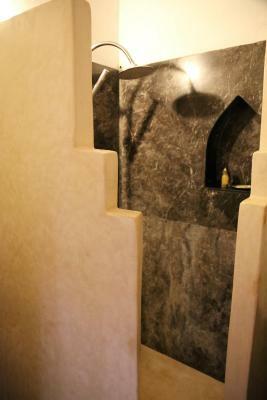 the shower didn't work well and that was the pity because a nice bathroom like that deserves an excellent shower! 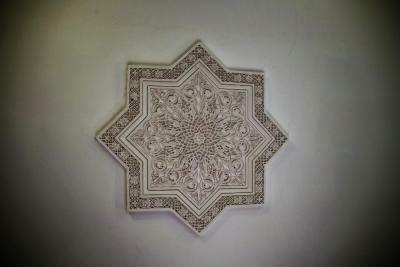 the riad is beautiful and the room was really nice, with good attention to the details. the staff very nice and helpful as well. every time we got back there were always hot tea and pastries waiting for us. 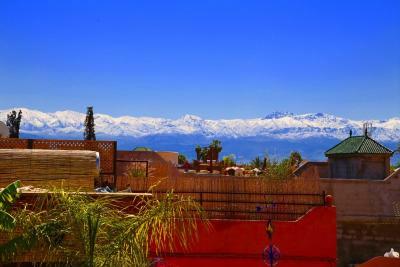 the terrace is one of the best I went during my trip to Morocco. 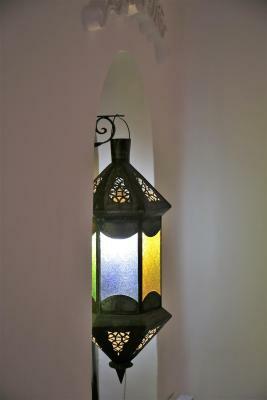 Can't think of anything that the Riad could have changed - it could get cold at night but there was heating if we wanted, we just didn't bother. The imam calling to prayer at just gone 6 was also a bit of a shock at first. But it's part of what you go to see and hear! There are so many mosques (beautiful!) that I don't think there's anywhere in the Medina you would be out of hearing, after all that's the point. Top tip to avoid the insistent stall holders is to keep walking, adopt a serene smile, middle distance gaze and say "maybe later" as a reply to all offers of bargains. Friendly staff, knowledgeable about the area, gave us good tips particularly for eating out. 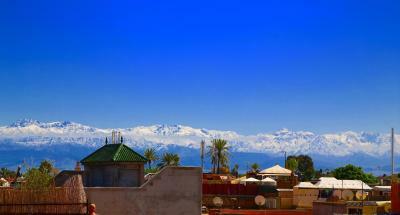 The location is a short walk from Jamaa El Fna, but far enough away not to be disturbed by it. 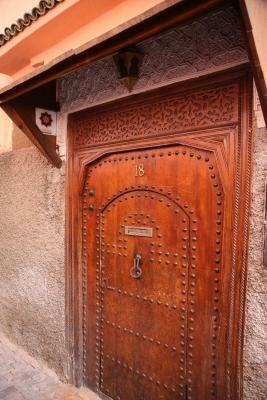 I would definitely recommend that you take the offer of transport to the Riad, it's off a main thoroughfare, and the entrance is difficult to spot. Once you know it, it's fine, but you need someone to show you it at first. We were charged 15E for a one-way trip, a worthwhile investment. Loved Zero the cat. The pool is a little cold which is probabbly nicer a bit earlier in the year. The homemade jam at breakfast is really nice. The staff are very helpful and provided great information about the local area. Everything was fine. Really kind staff and a beautiful place.